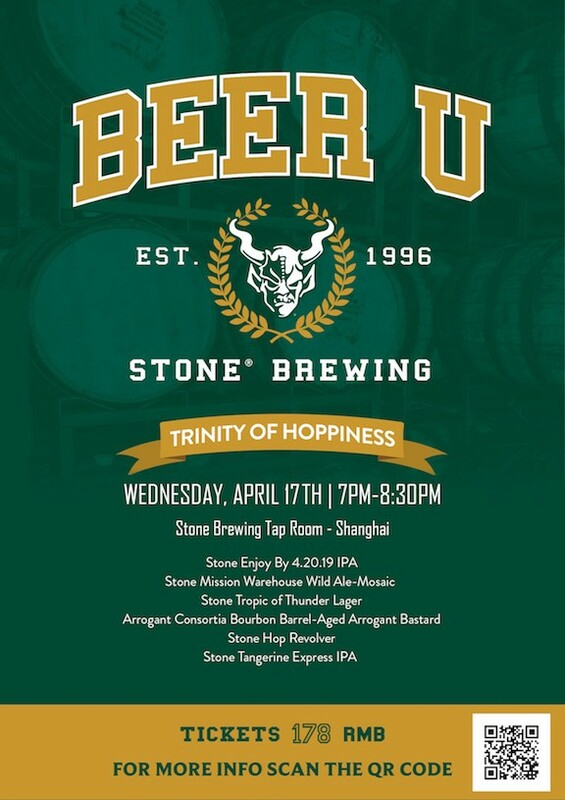 In the name of the vine, the cone, and the holy hops, it's time to honor the sacred Trinity of Hoppiness in the fourth edition of Stone Beer University, this April 17 at 7pm. Learn everything there is to know about single hop beers, dry hopped beers, yeast balancing hops, and various hop varieties used in the brewing process. Guests can work their way around the Trinity of Hoppiness by recognizing the nuances between dank and piney, citrusy and floral, and tropical and juicy hop profiles with six different hoppy brew tasters (5-ounce pours) for RMB178. Sign up online using the QR code to secure your spot ahead of time or purchase tickets directly at the Tap Room. Beer nerds and noobs alike are welcome.